How do we craft a contemporary home informed by its pastoral setting? Located in a rolling meadow surrounded by hammocks, horse farms, and estates, this home is designed to enhance the owners’ love of living in nature. 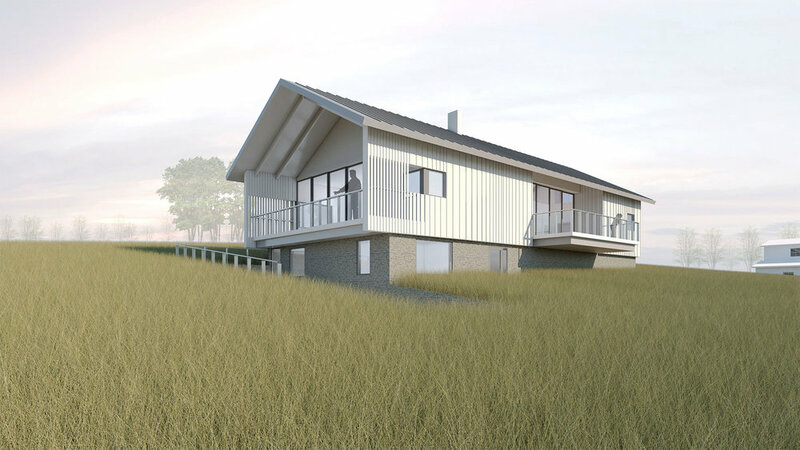 The house is nestled into the sloping site and positioned in proximity to an existing barn. This grouping of buildings and spaces creates a territory in the rural setting. The house itself emulates the agrarian structures that mark the region with the living area and garage connected by a floating glass bridge. Placed directly between an existing farmer’s pond downhill and a grouping of hardwoods on the adjacent horse farm uphill, the house’s great room opens up with large sliding glass doors on both sides to take in these picturesque site features. Selective placement of windows in other spaces reinforces the immediate and distant connections with the landscape when moving through the house during daily routines. 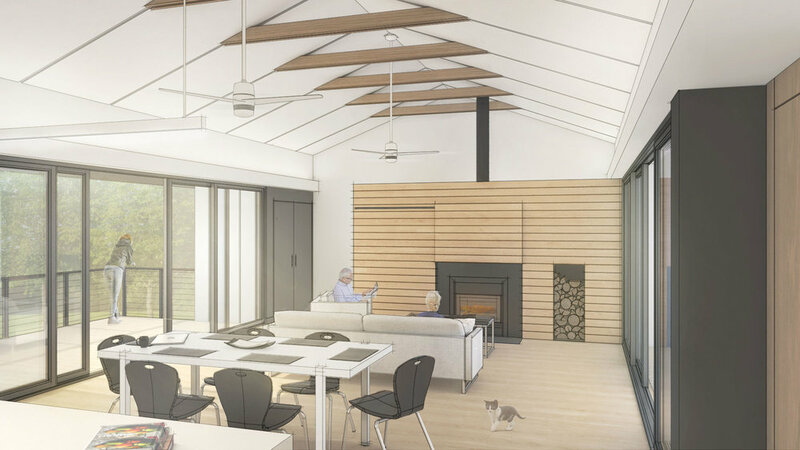 The two-story house is designed for aging-in-place with the upper level as the primary living area for the owners and the lower level provides guest quarters, storage and utilities.